MINNEAPOLIS (CNS) — Auxiliary Bishop Andrew H. Cozzens of St. Paul and Minneapolis said the Catholic Church “desperately needs an independent structure, led by experienced lay personnel, to investigate and review allegations made against bishops, archbishops and cardinals” in an Aug. 31 statement. In January 2014, Archbishop Nienstedt, then the leader of the Archdiocese of St. Paul and Minneapolis, charged his subordinates with investigating allegations of sexual misconduct that had been made against him. The investigation — and especially, how it ended — has received renewed international interest after retired U.S. nuncio Archbishop Carlo Maria Vigano denied Aug. 26 that he had instructed Bishop Piche and Bishop Cozzens to end it. That included an April 12, 2014, meeting in Washington with Archbishop Vigano, then the Vatican nuncio to the United States, serving as a liaison between the Vatican and U.S. bishops. “When Bishop Piche and I believed that we were being told by the nuncio to close the investigation, we strenuously objected. When the nuncio clarified that we should focus the investigation and complete it, we did so,” he said. Archbishop Vigano’s role in the investigation was recently called into question after he issued an 11-page letter Aug. 25 accusing high-level church officials, including Pope Francis, of turning a blind eye to former Cardinal Theodore E. McCarrick’s sexual misconduct. Critics accused Archbishop Vigano of raising questions about certain Vatican officials, but overlooking his own role in ending the Archbishop Nienstedt investigation. In a separate statement Aug. 26, Archbishop Vigano called allegations he had ended the Archbishop Nienstedt investigation “false” and denied asking Bishop Piche to destroy a letter that indicated he had. Both allegations originated from a memo Father Griffith, a law professor and pastor, wrote to Bishop Piche in July 2014. It was made public in July 2016 as part of a separate investigation by law enforcement. At the time he wrote the memo, Father Griffith was the archdiocese’s delegate for safe environment and had served as the liaison between the archdiocese and the lawyers hired to conduct the investigation. Father Griffith told The Catholic Spirit, newspaper of the Archdiocese of St. Paul and Minneapolis, in an Aug. 28 statement that he stands by his 2014 memo. “I welcome a thorough accounting of the matter,” he said. 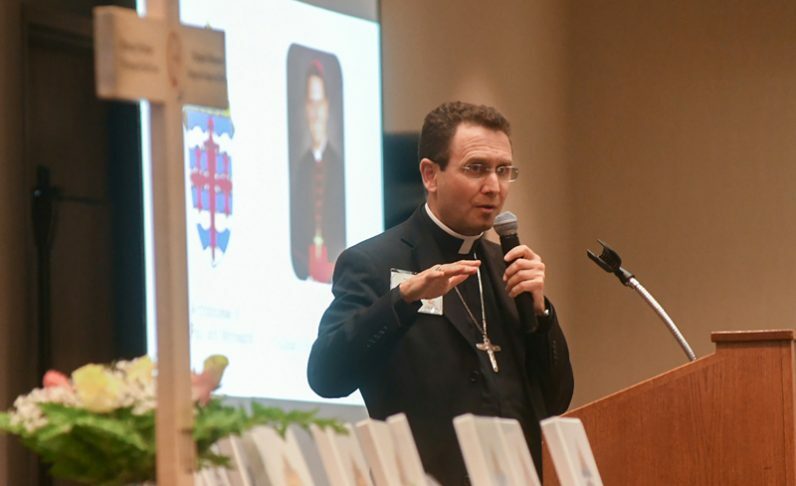 The entire situation illustrates the need for a new structure in the church for investigating bishops, Bishop Cozzens said in his Aug. 31 statement. “As a practical matter, bishop-led investigations have mixed credibility in the public domain: Some inevitably believe the accused bishop is being treated unfairly, others believe he is receiving preferential treatment. A fair resolution becomes unachievable. The accuser deserves better. We all deserve better,” he said. To address the types of challenges encountered in the investigation of Archbishop Nienstedt, the Archdiocese of St. Paul and Minneapolis has subsequently created protocols to address a similar situation, Bishop Cozzens said. “When there is an allegation against a bishop or archbishop in our archdiocese, it is reported to the board of directors, laypeople. They play a vital role in making certain that all allegations are investigated and addressed,” he said.